24-7worship.org - What is the "Key of David"? The term "The Key of David" is a phrase that is recently surfacing in many places. Like the phrase "The Tabernacle of David" it is a term that rarely comes up in Christian writing before this present generation, and, I believe the Holy Spirit has highlighted these terms from the Scriptures in recent times and intentionally has brought them to our communal attention. It is interesting that a number of us called to 24-7 ministry to the Lord have had recent experiences with the "Key of David": either that we have been symbolically given a "key" or prophetically had it laid on our shoulders, or simply that we have been hearing about it. Some of us have been gradually learning to use this key, even without fully understanding what we may have been entrusted with. Recently I have been granted a measure of understanding of the significance of this "Key of David." Although we may have the key within our grasp and even begin to learn to use it, it is nevertheless very helpful to understand what this "Key" is and how it may be used. "These are the words of him who is holy and true, who holds the key of David. What he opens no one can shut, and what he shuts no one can open. I know your deeds. 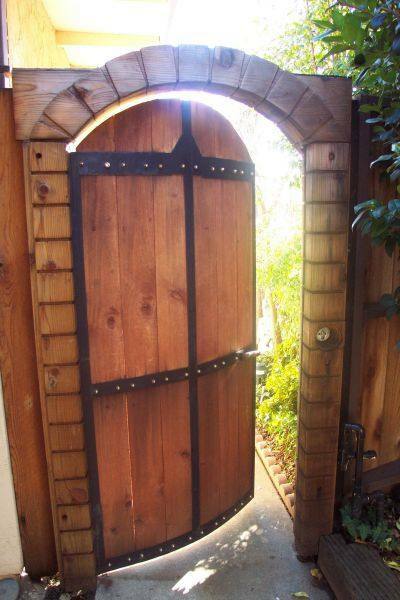 See, I have placed before you an open door that no one can shut." "In that day I will summon my servant, Eliakim son of Hilkiah. I will clothe him with your robe and fasten your sash around him and hand your authority over to him. He will be a father to those who live in Jerusalem and to the house of Judah. I will place on his shoulder the key to the house of David; what he opens no one can shut, and what he shuts no one can open." In both cases, with the Church in Philadelphia where certain Jews had unlawfully assumed authority (Rev. 3:9), and in Jerusalem where Shebna had usurped authority in the palace (Is. 22:15-19), the Key of David was given to establish God-ordained authority in those places. In the culture of the time a Key was an emblem of the authority of Government; and in the East to this day, in transferring the authority and Government of a city, a large Key is laid upon a person. But why is it called the Key "of David?" Why is David’s name associated with this Key of Governmental Authority, the key that has the power to open what no one can shut and shut what no one can open? "I have found David son of Jesse a man after my own heart; he will do everything I want him to do." The heart of David, above all, was to find a resting place for the presence of the Lord among his people, a "Dwelling for the Mighty One of Jacob." After David captured Jerusalem from the Jebusites, one of his first acts recorded in the Scriptures (II Sam. 6, I Chron. 13-15), before conquering other cities or lands, was to bring the Ark of the Covenant, the Ark representing the Presence of God into Jerusalem, and establish worshippers continually ministering to the Lord day and night. David was known as a Shepherd, a Fugitive, a Warrior, and a King; but most of all, and above all, as a Worshipper. David was a man after God’s own heart. You see, God’s heart, above all, is to be in the midst of his people. This is the dominant theme of Scriptures, from Genesis where God walked with mankind in the cool of the Garden, to Revelation where we hear a "loud voice from the throne" saying "NOW (finally ... again!) the dwelling of God is with men, and he will live with them." This is the purpose and heart of God; that is where history is heading and our ultimate destiny; that is why Jesus came as Immanuel, God with us, to reconcile all things to the Father. It is to those whose hearts line up with God’s heart that God is prepared to entrust the Key of David. These are the ones to whom he wishes to impart the same authority that David walked in, to open doors that no one can shut, and shut doors that no one can open. As we become people "after God's own heart," the doors we seek to open will always start with the door to his presence, a door that we open through day and night worship, as we learn from the example of David. We may have "little strength" (Rev. 3:8), and appear of little significance from the world’s perspective, but it is to those "who keep his word and not deny his name" that he will entrust his authority. As David was the least of his family and clan, a shepherd boy, yet called to a position of great authority in the Kingdom, God says of him "he will do everything I want him to do." That must be, above all, our hearts’ desires, to have no purpose, no agenda, no ambition, but only to do his bidding. We see how David was able to use the authority the Lord vested in him by conquering cities and nations for the Kingdom. 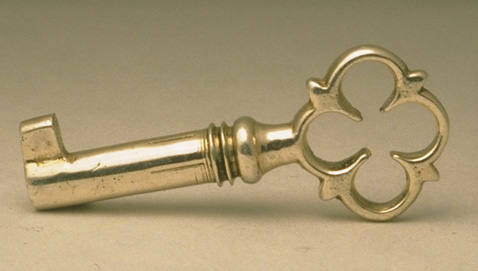 He was able to use this "Key" to possess one city after another for the Kingdom. In fact in I Chronicles 18 and in II Sam.8 the Holy Spirit gives us, in these scriptures, a summary of David’s conquests. In these 17 or 18 verses there is one phrase repeated four times: "The Lord gave David victory wherever he went." In the previous chapters (I Chron. 17 & II Sam.7), Nathan, having observed how the Lord was with David, says "Whatever you have in mind, go ahead and do it, for the Lord is with you." The Key of David in operation: "what he opens no one can shut, and what he shuts no one can open." 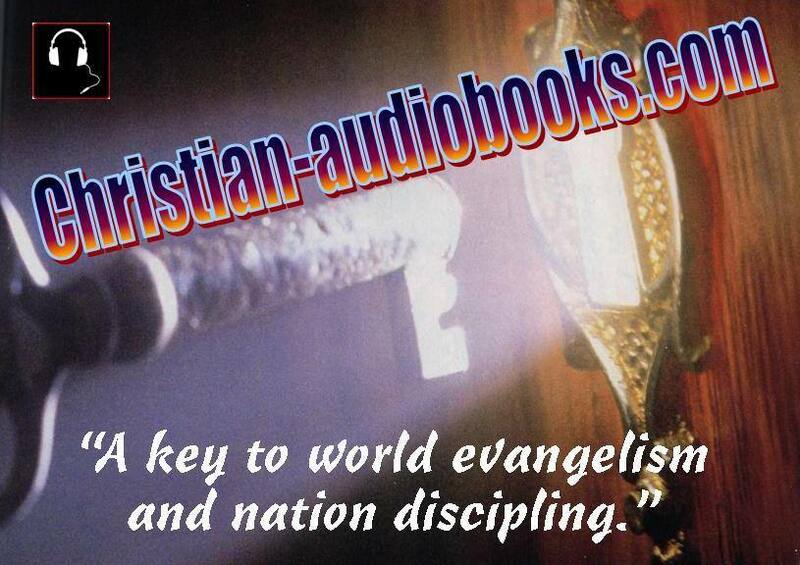 But note the chapters that immediately precede these illustrations of the power of using the Key of David. What happened prior to this? In I Chron 16, and in II Sam. 6 we are told how David brought the Ark of the Covenant into the city, and established worshippers to minister to God’s presence day and night. He put "first things first." Central to all David did was the presence of God. He never lost the heart of worship ... "that I may dwell in the House of Lord, in the presence of the Almighty One of Jacob, ... to behold the beauty of Lord and to seek his face all the days of my life." I believe that we too, can ask for and receive the Key of David. But we must do so with a heart of humility and total obedience, as the least of the clans, and doing only what he wants us to do. We must also align our hearts with God’s purposes and desires. What is that desire above all? Reconciliation to his people and the renewal of all things, so that we can walk in communion with him and abide in his love. 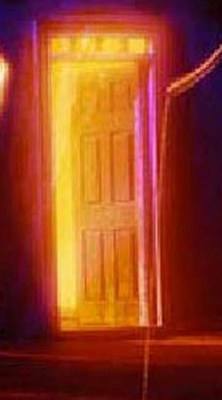 That is the message and that is the primary purpose of the use of the Key of David. It is a Key that Gatekeepers will be able to use to open Gates for righteousness, truth and justice, and close Gates to abuse, inequity, deception, and unrighteousness in every sphere where he places us. He is calling for Gatekeepers with the Key of David to be positioned in the foundations of the city. God is looking for those who can be entrusted with the Key of David with Governmental Authority to open doors for Kingdom transformation. As we seek first his Kingdom and his righteousness, as we put "first things first" and establish a Dwelling Place for the Mighty One of Jacob by ministering to his presence through day and night worship, he will entrust us more and more with the Key of David, with authority to open doors that no one can shut, and shut doors that no one can open. This Key is always first and foremost to open doors to his Presence, ministering to his Presence through day and night worship; and then, as David did, we must use this same Key to conquer kingdoms, until the kingdoms of this world become the Kingdom of our Lord and of his Christ. Jesus said, "I will give you the keys of the kingdom of heaven; whatever you bind on earth will be bound in heaven, and whatever you loose on earth will be loosed in heaven."